“I am blessed with the opportunity to do what I love every day. Having the work I do be recognized at the vigil, by good friends who have the same vision … I am very humbled and just so grateful. Receiving the Knight in Shining Armor award means so much to me; I am sincerely honored.” –Kelly King, KPBSD homeless liaison. 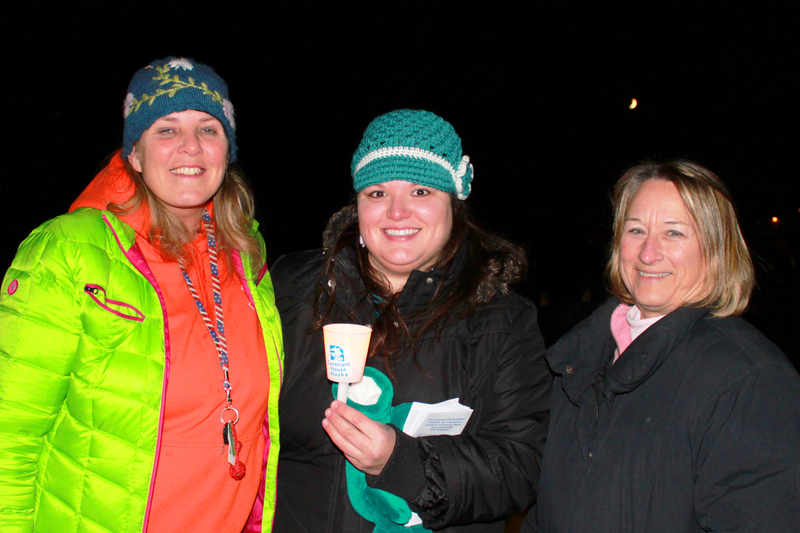 November 7, 2013, Kelly King was awarded the Knight in Shining Armor award during a candlelight vigil for youth and family homelessness. The award is named after retired KPBSD school teachers Janiece and Nina Knight. The Knights are founders of a non-profit, Luva Child, Inc. The mission of the non-profit is to provide food, shelter and education for children at risk. Speaking at the vigil, Sandy Miller, federal programs coordinator said, “KPBSD is proud of the support Kelly provides and is pleased she is receiving the Knight in Shining Armor award this evening. She truly is a hero. The task of the homeless liaison is not a high profile position and it does not garner a lot of attention. King doesn’t need those accolades; she truly has a heart for families and youth finding themselves in difficult times. Over the course of a year, Kelly typically supports approximately 300 students. The KPBSD Students in Transition program has been in existence since the early 1990s. The numbers of students and families served through the program have increased each year; however the staffing to serve this population has not. KPBSD has one full-time and one part-time position to cover the majority of KPBSD needs. On average 275 – 300 individuals are provided assistance each year through the KPBSD Homeless Liaison. Kelly King came to KPBSD in 2008. As a lifelong Kenai resident, King understands the unique characteristics of each community. She continually goes well above her job expectations to develop strong, respectful relationships with local and state agencies in order to provide the very best assistance possible for her clients. This entry was posted on December 20, 2013 at 10:28 am. You can follow any responses to this entry through the RSS 2.0 feed. You can skip to the end and leave a response. Pinging is currently not allowed.